The MetalCloak TJ/LJ Wrangler R.E. 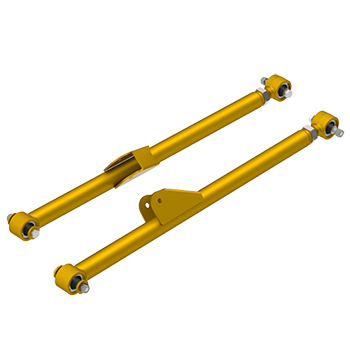 Front Radius Arm Upgrade Replacement Arms significantly improve the ride quality and longevity of your Jeep Wrangler TJ or TJ Unlimited Radius Arm Suspension System. Equipped with the MetalCloak DuroflexTM (metalcloakpatents.com) self-centering, vibration dampening, Dupont Kevlar infused bushings at both ends for a combined misalignment of over 68 degrees. 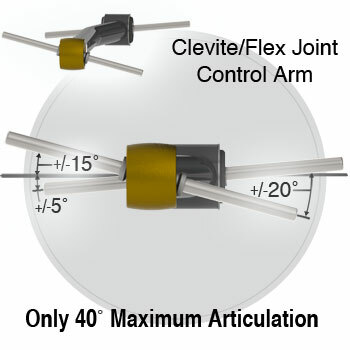 Yes, the Radius Arm is now better than ever! Fit perfectly into the existing RE Belly pan on TJ/LJ Wrangler and XJ models. Adds Duroflex "bind free" rubber bushings that are "squeak free" and do not get pounded out. Allows smooth up and down wheel travel while keeping the pinion angle in check. Provides unmatched on and off-road handling characteristics that are just unbeatable. Old technology Radius Arms have a single major problem... BIND. This bind causes premature bushing wear and undue stresses on the axle brackets that also limits free travel. 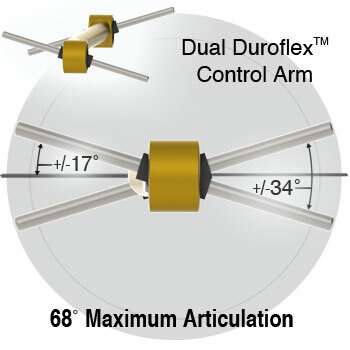 To make a Radius Arm work properly we created the Solution... please read on. 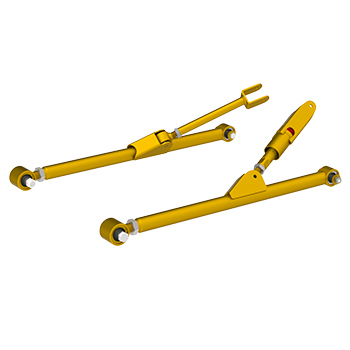 When a solid axle articulates by dropping one wheel while raising the other, one side of the solid axle will rotate forward and the other side backwards; the short length fixed control arms on a radius suspension limits this and puts a tremendous strain on all the related components.